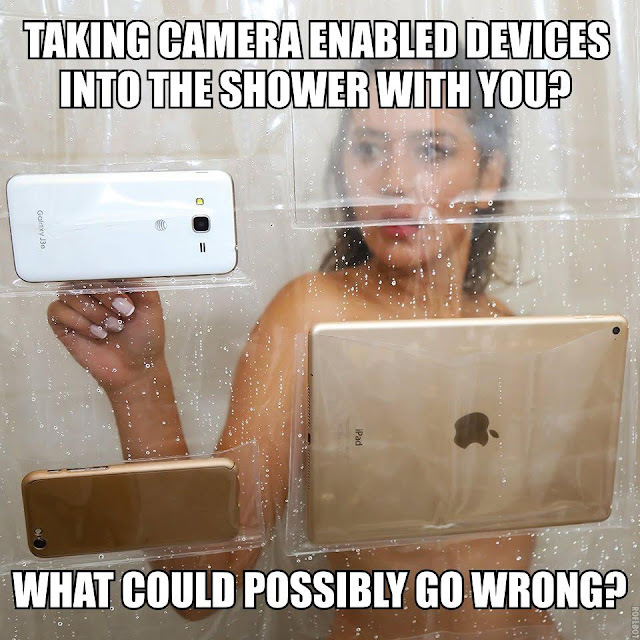 Because a clear shower curtain wasn't revealing enough, someone made one that enables you to be seen naked by people on the Internet as well. This product is a real thing but so are apps that can take your picture without you noticing, so it may not be the best idea out there. On the other hand, if you could mount it on a wall or something, I could see using it outside of the shower, where I'd be fully clothed.